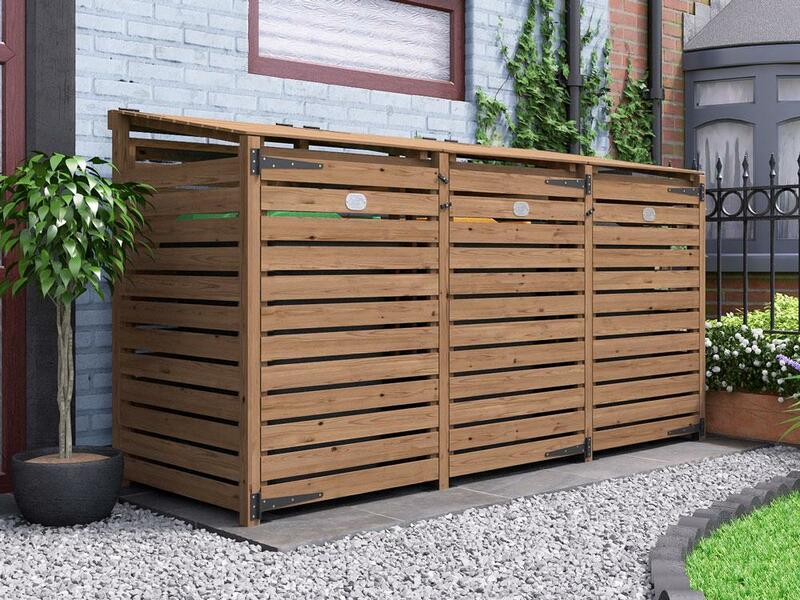 Our Wheelie Bin Store is ideal for hiding 3 bins from view in the garden. 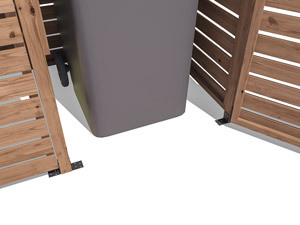 The latched front doors have no lower frame, allowing the bins to be easily wheeled in and out of the generous storage space, while the hinged roof panels and stay arms make it easy to access the bins to deposit rubbish. 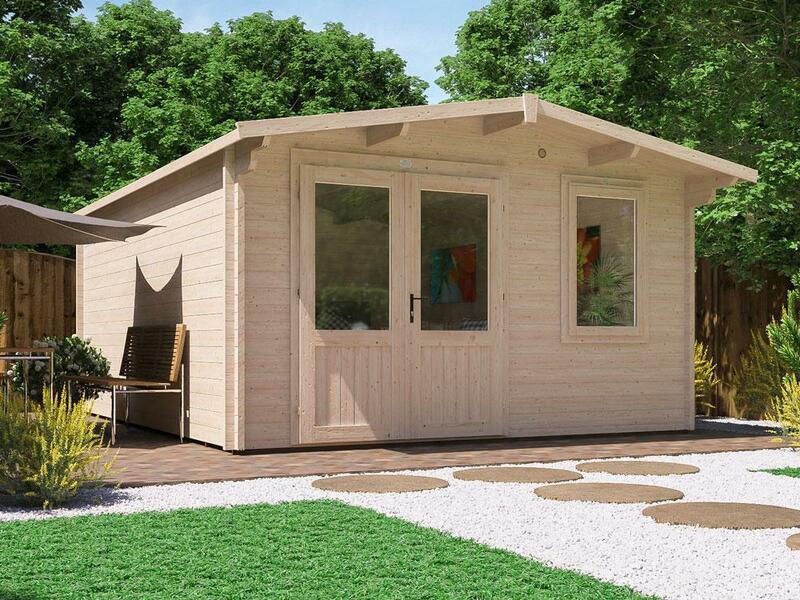 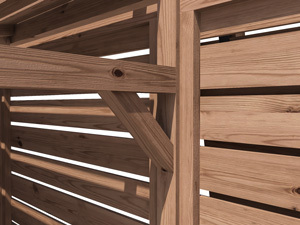 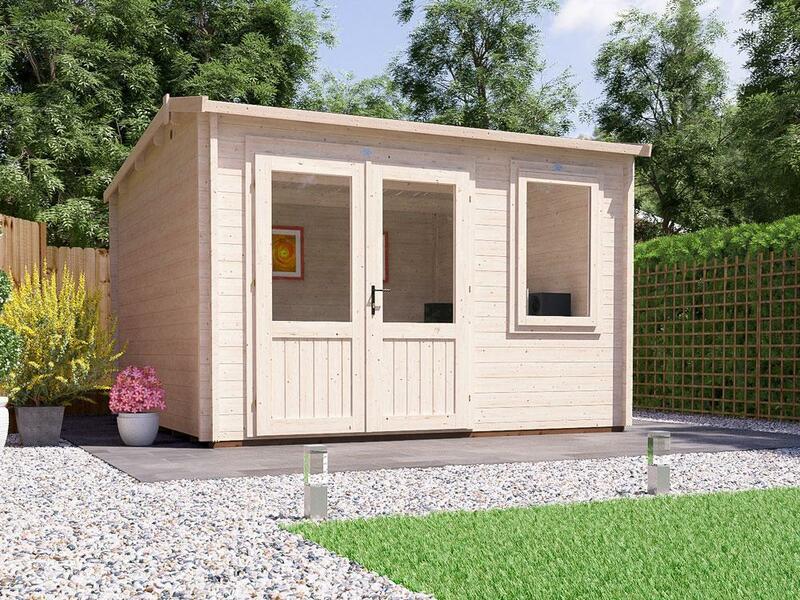 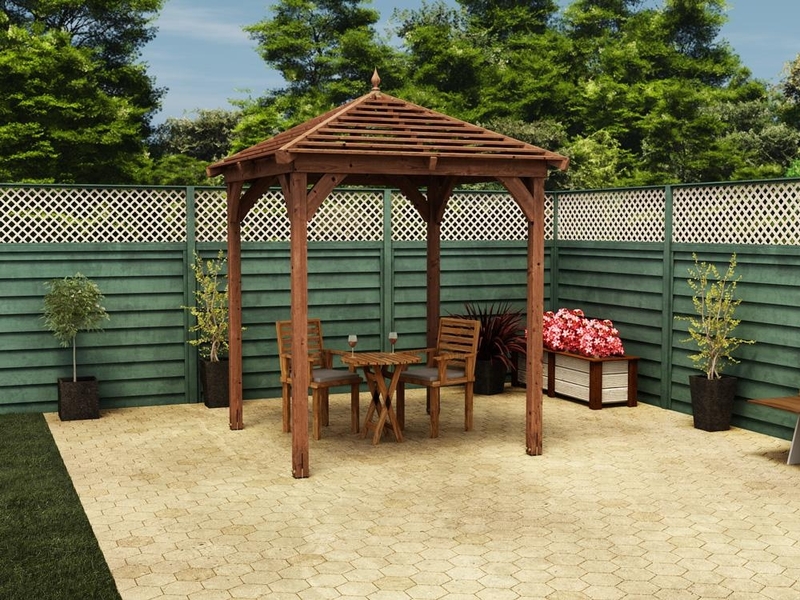 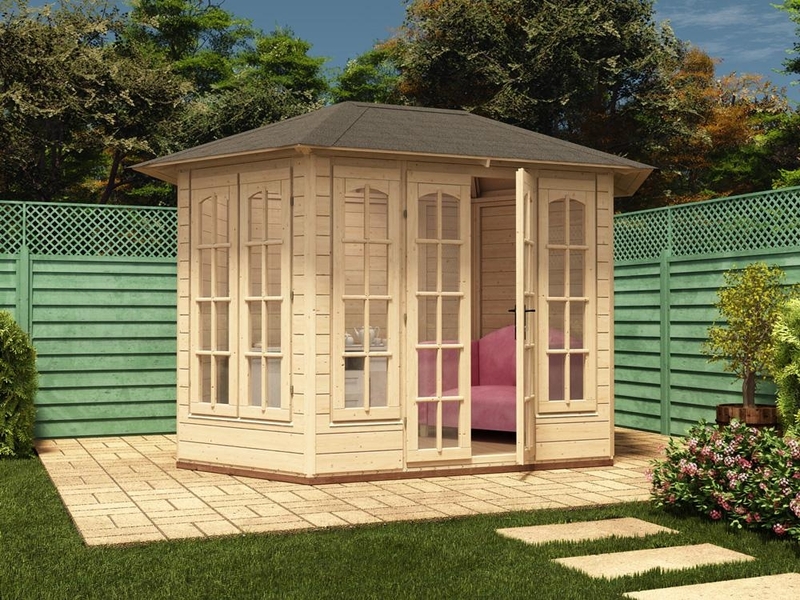 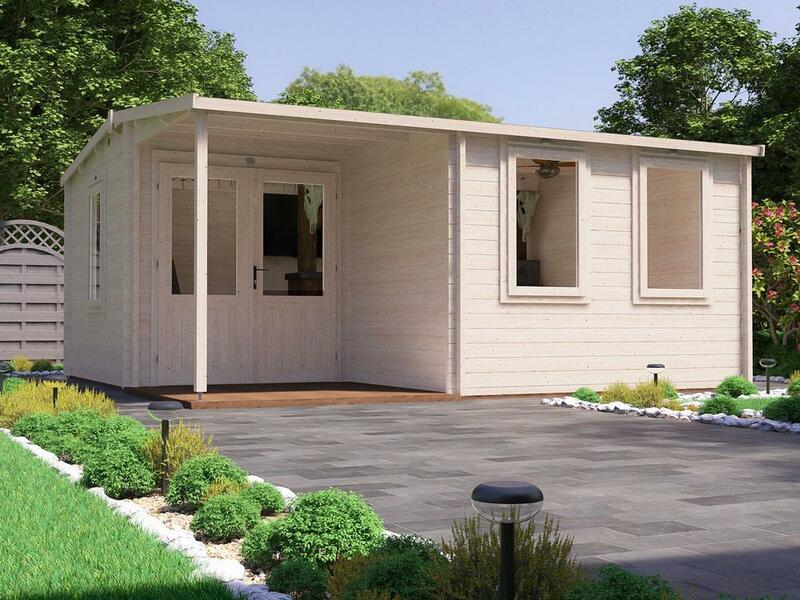 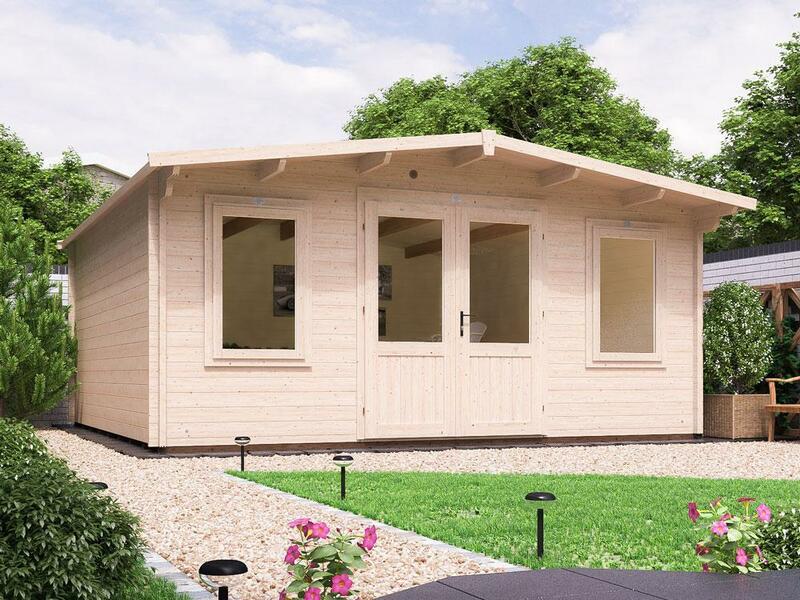 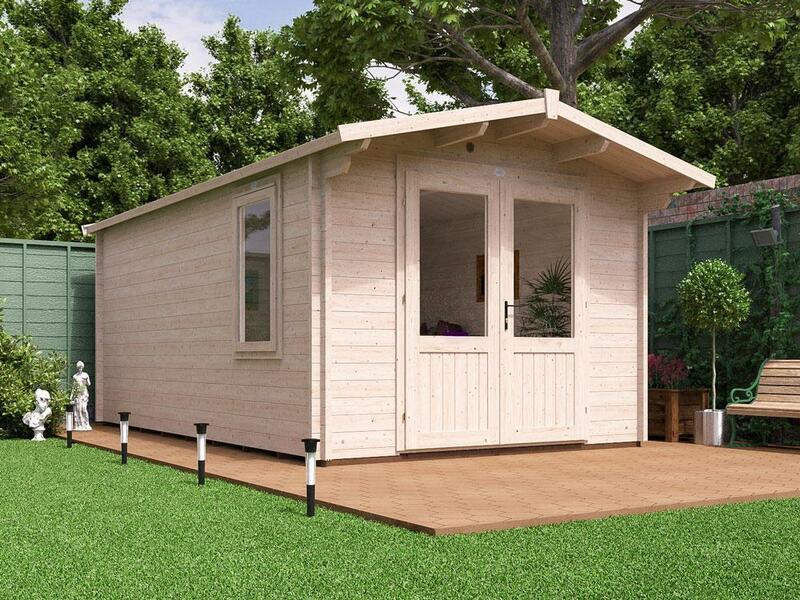 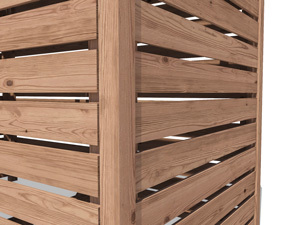 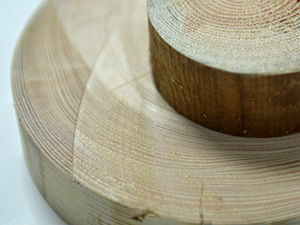 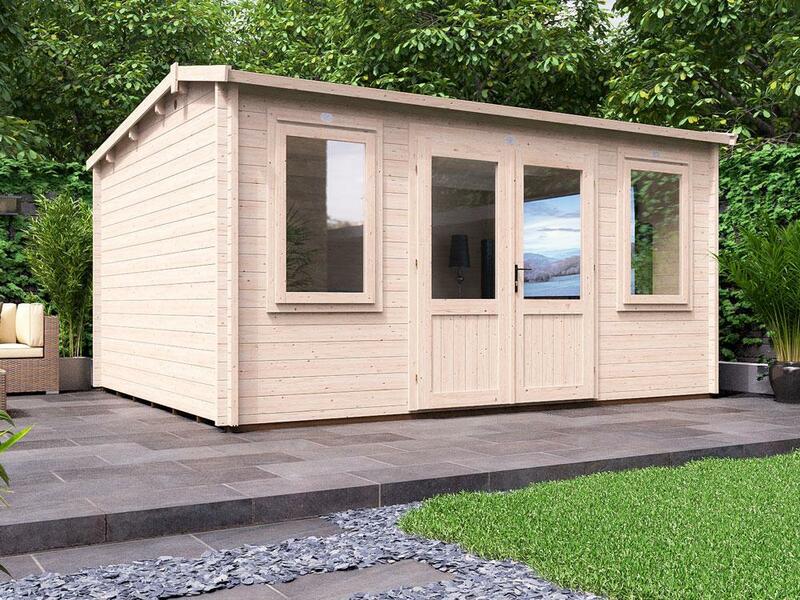 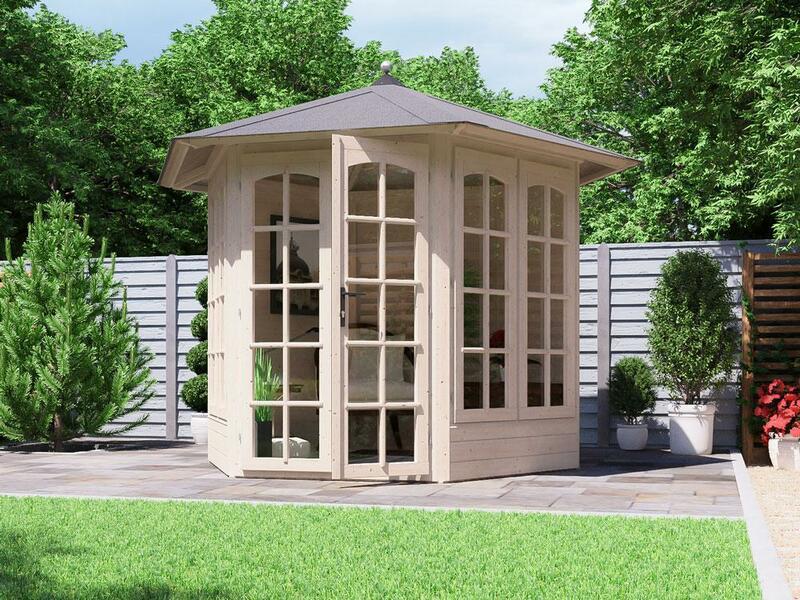 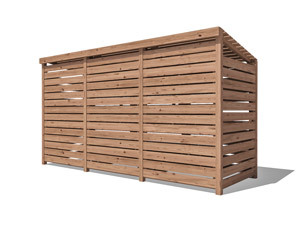 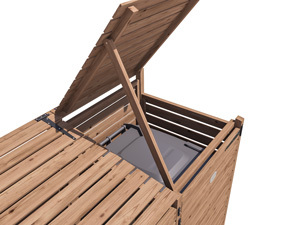 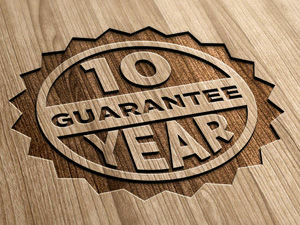 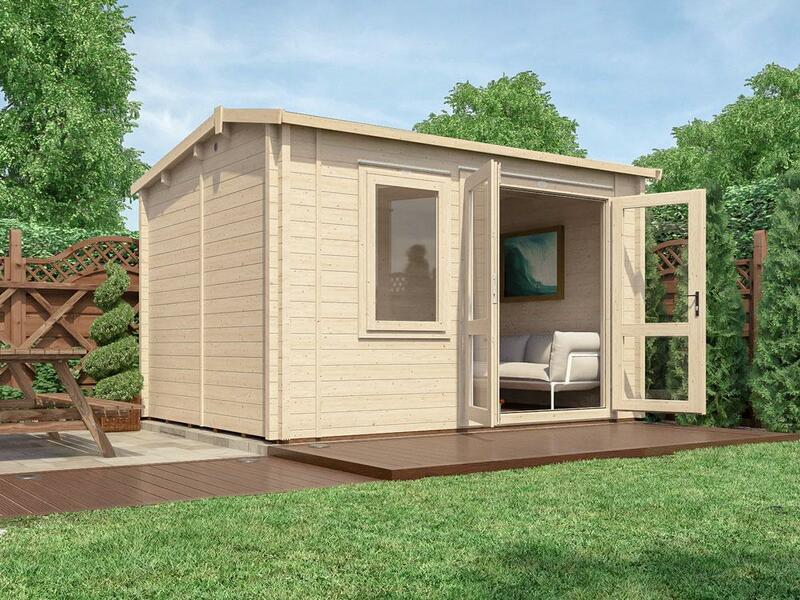 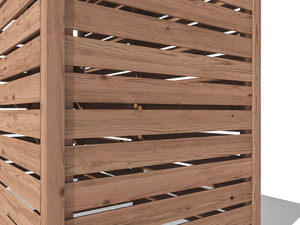 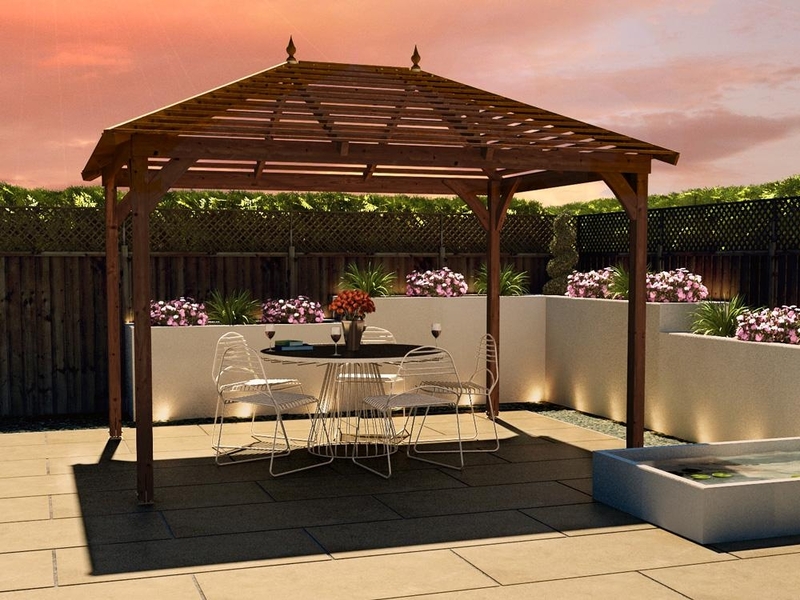 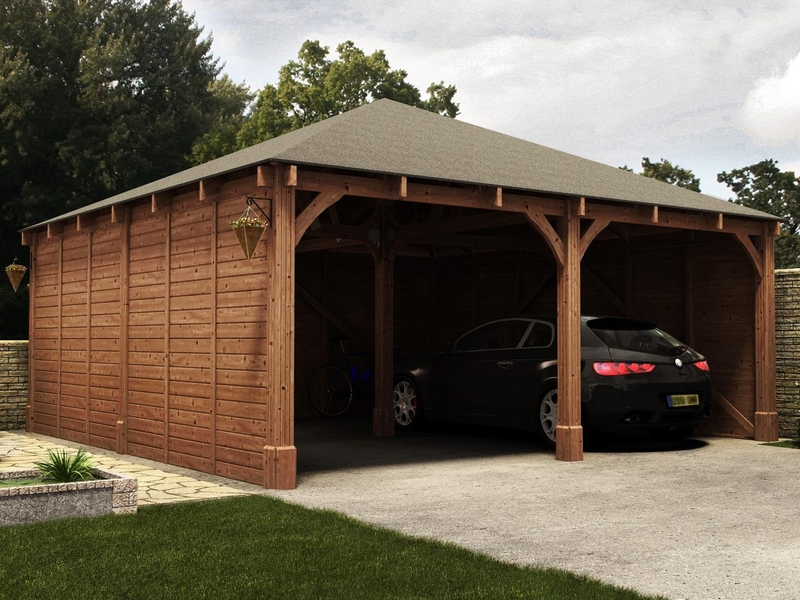 The entire structure is made from pressure treated timber, guaranteed for 10 years against rot and insect infestation. 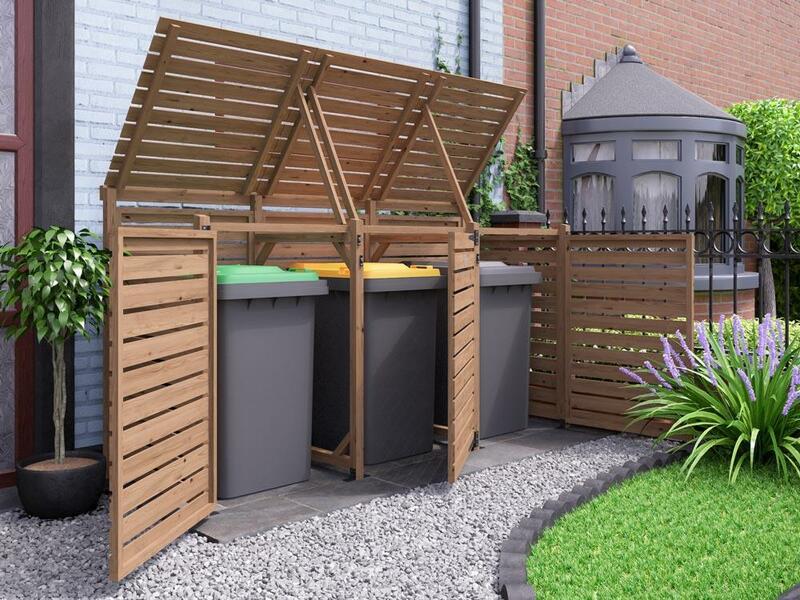 The Triple Wheelie Bin Store has a hard-wearing, solid frame and comes in panels for easy construction, including a rear panel, which means you can use it free-standing, or near a wall or hedge, as you choose. 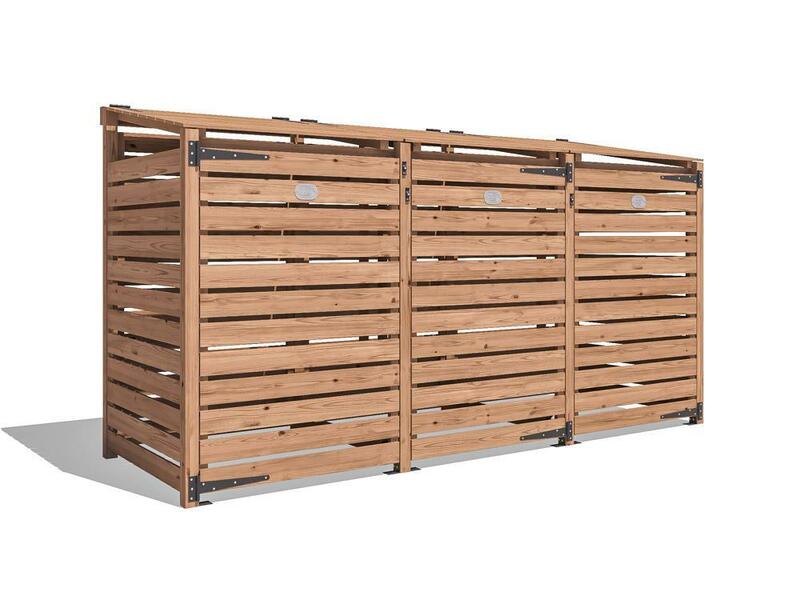 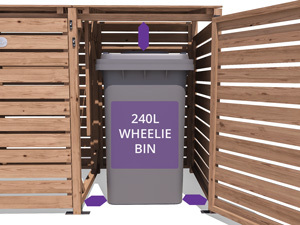 This wheelie bin store includes a rear wall panel, which means that it can be located "free-standing" on its own, and does not need to be near a wall, fence or hedge (though it can be if you wish). 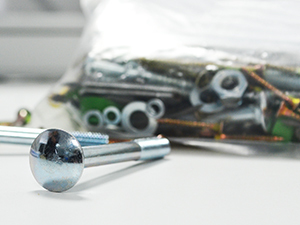 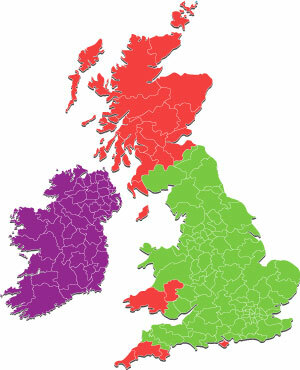 This effectively allows you the freedom to locate your store in the best place for you.